Budget Barbie: Free (and cute) pumpkin templates! Free (and cute) pumpkin templates! 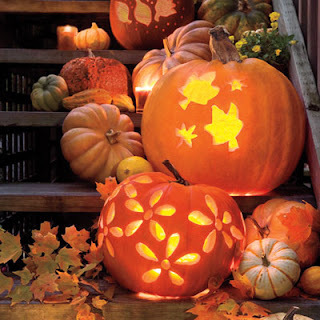 Today I found some great pumpkin carving templates at SouthernLiving! 31 carving ideas and these free templates... and they aren't all scary! From daisies to palm trees with a few ghosts in between, check out these super cute pumpkins to get ideas for your Halloween squash!